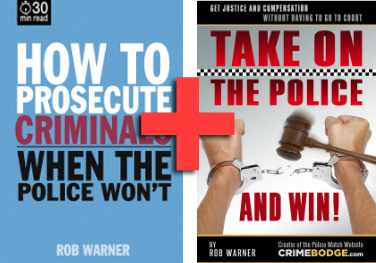 The following Ebooks can be purchased and downloaded instantly from this website and will open on all laptops, smart phones, tablets, eReaders, Android devices, Macs and PCs as standard PDF documents. Just click on the Paypal link below your selected item to purchase and download. You can also pay by debit or credit card without a Paypal account by clicking on the same link and selecting ‘pay by card’. 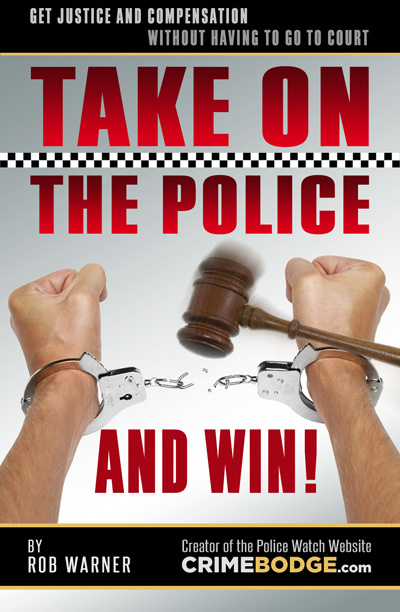 “Take on the Police and Win” is a comprehensive guide to beating the police at their own game, containing a wealth of information on how to achieve compensation payments and a satisfactory complaint outcome – all without having to employ the services of a solicitor or step foot in court! If you have been assaulted by the police or unlawfully detained, if they have forced their way into your home without just cause, harassed or bullied you, then this EBOOK will explain how to take on the civil and legal departments of the police and win! 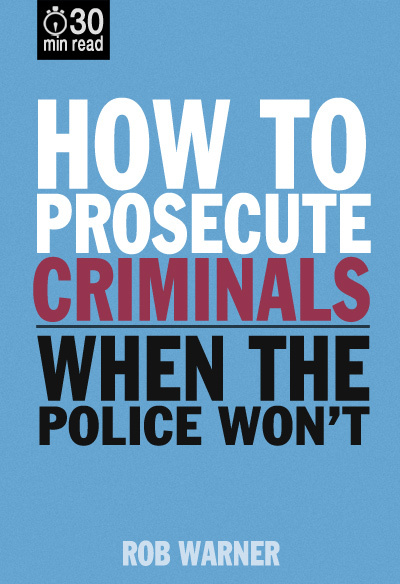 Download it now and you will also receive a free copy of “How to Prosecute Criminals When the Police Won’t”, a short guide to bringing criminals to justice when the police look the other way. It would seem that the police have the monopoly on law and order, so who do you turn to when they do nothing?.. 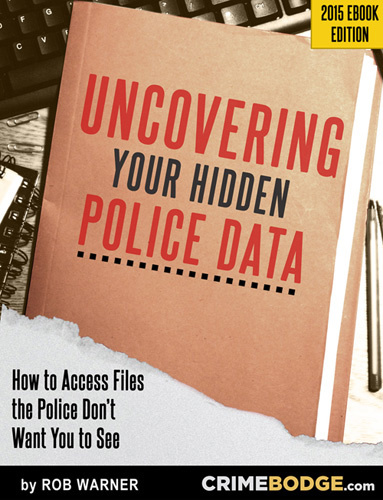 What you may not know is that the police do not have the exclusive right to prosecute. We all have that right, including the right to investigate, charge and prosecute any suspect we believe to have committed an offence, no matter how petty or serious the crime. 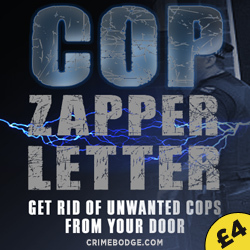 Get rid of unwanted police visits to your door with the “Cop Zapper Letter”. 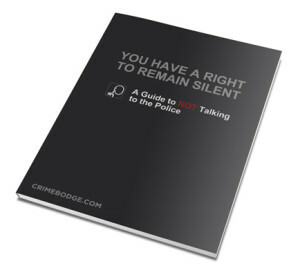 The Cop Zapper isn’t an empty threat letter, it is a carefully drafted legal document which outlines all the various laws, civil torts, codes of practice, and codes of conduct the police are flouting when they use oppressive means to coerce people into complying with unlawful demands. As long as the letter is used strictly to prevent the police from abusing their authority in making repeated and unwanted communication or visits, on matters where they ‘just want to speak with you’ and have no intention to arrest – including the unwanted issuing of harassment warnings – then this letter can be handed, sent or e-mailed directly to the offending force as a cease and desist notice. 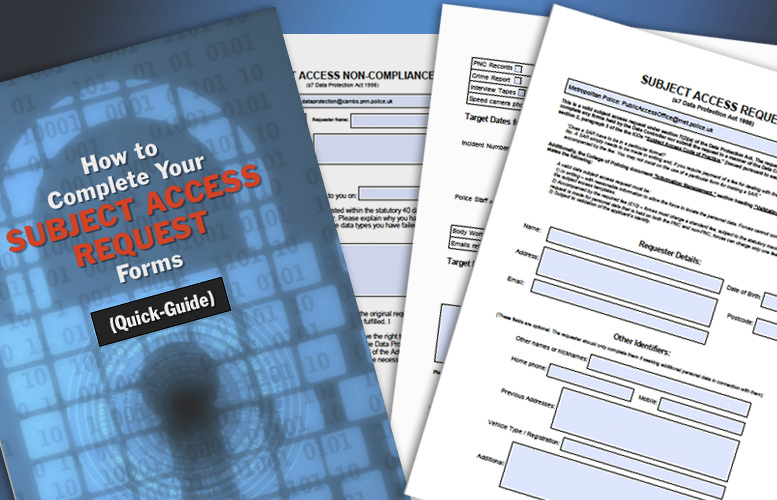 Also included with this pack is a step-by-step guide to help you complete the forms: Explaining what each box is for, what additional comments you should add, and how to target your request for a quick and comprehensive response. 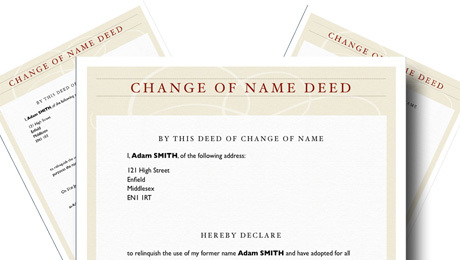 A deed poll is an official document certifying an individual’s change of name. Most people wrongly assume these must be drafted by a government organisation, solicitor or legal stationer but ANYONE can draft up and print off their own deed poll, sign it and submit it as an official record of change of name. This can then be used to legally obtain official documents in your new name, such as a passport and driving licence. As long as the document is correctly worded and smartly presented, all government organisations must accept it as an official deed poll. There are a host of companies on the internet charging upwards of £20 for what is in effect a printed certificate. Most of them will only send out one copy of your deed, and if it gets lost or destroyed or you make an error filling it in, you have to pay again to get a fresh copy. With our Deed Poll Templates you can just add your details and print off a professional looking document as many times as you like. These “Deed Poll Templates” contain both full colour and black and white versions to suit almost any combination of printer and paper. We would recommend an inkjet or laser printer, printed onto quality stationary or thin card. If you have unwanted debt collectors coming to your door, phoning, writing, texting or e-mailing you then we recommend that you rid yourselves of them permanently with our ZAPPER LETTER. This is a carefully drafted legal document which lays down the law as it applies to unwanted doorstep cockroaches trying to collect civil debts! Removing all implied rights of access to your door. Explaining how the Protection from Harassment Act 1997, Malicious Communications Act 1988 and the Communications Act 2003 protects people from nuisance calls, malicious communications and unwanted visits. Explaining how contacting neighbours, relatives and other householders in relation to a debt; posting unsealed documents; e-mailing and texting; or talking loudly on the doorstep about personal financial issues contravenes the Data Protection Act 1998. Explaining how debts over 6 years old are statute barred under the Limitation Act 1980 and are therefore unenforceable. Reminding the debt collectors of the varying governing bodies, officials and ombudsman whereby complaints can be submitted in regards to oppressive conduct, unwanted calls and written communications. 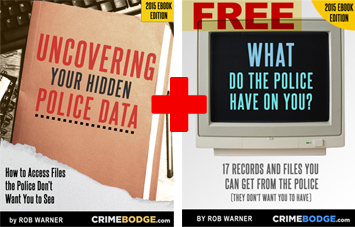 This document will be e-mailed to you in .pdf, Word and plain text format. All you have to do is add the address you are being hounded at. You don’t need to put your name on the document. The letter is supplied with a short guide on how the letter works, with further advice on defeating debt collectors. 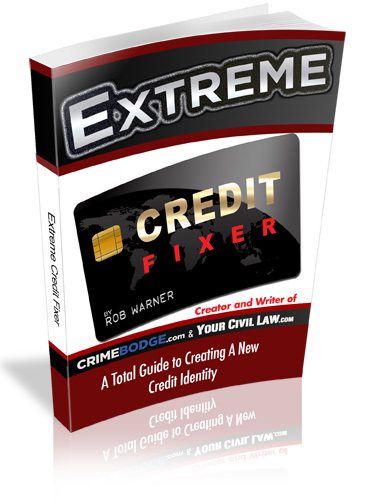 “Extreme Credit Fixer” is a proven and highly effective, last ditch approach to escaping overpowering debt. By following the methods carefully set out in this Ebook you can effectively set-aside any outstanding debt and build a new credit history from scratch. 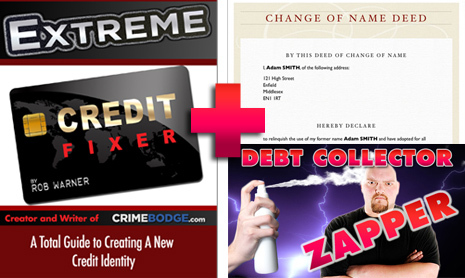 “Extreme Credit Fixer” also includes the “Zapper Letter” for FREE: A tried and tested way of stopping the unwanted harassment of debt collectors dead in their tracks. 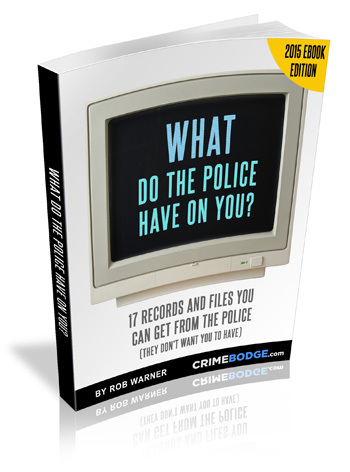 We are also including all the templates you need to create your own change of name deed-poll COMPLETELY FREE with this Ebook, with full details on how to use them; vital to creating a new and totally legal credit identity.